Since more Americans than ever are walking and riding to work, these figures correspond to the increased numbers. In 2005, about 3.3 million people walked to work while that number skyrocketed to 4 million people by 2013. During that same time frame, about 530,000 rode bicycles to work, which jumped to 860,000 cyclists by 2013. In addition, those numbers are likely underreported since it only included those who walked or rode to work every day and not just once in a while. 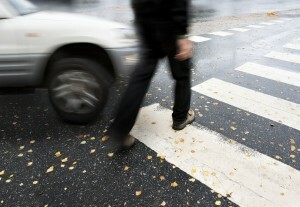 • Men were most often pedestrian accident victims – 69 percent – and cyclist accident victims – 87 percent. • Fatalities happened most often between 3 p.m. and midnight. • About 33 percent of walkers and 20 percent of cyclists registered a blood-alcohol content level of .08 or higher, which means they are considered impaired under federal and state law. In some cases, conflicting interests mean that safety needs of cyclists and walkers are put on the back burner. For example, while the GAO looks at overall national safety efforts, the state might look at ways to improve highway safety and transportation across the state, possibly sacrificing walker and bicycle safety. Even so, several cities, including San Francisco, have implemented zero-death campaigns and focus on improving overall traffic safety. In 2013, additional programs through the U.S. Department of Transportation have specifically dedicated $676 million to walker and cyclist safety. However, cities and states will need to up their efforts if they want to keep these individuals safe and reduce overall fatality statistics. Due to the sheer size and mass of cars and trucks and the vulnerability of a walker or rider, these individuals will nearly always be on the losing end of a collision. However, these statistics provide some insight on how to promote increased safety measures for walkers and cyclists. Men can take additional precautions, such as following the rules of the road, wearing high-visibility clothing and donning helmets each and every time they ride. Riders and walkers should take extra caution during the high risk hours between 3 p.m. and midnight. Furthermore, they should remain alert, avoid alcohol consumption while walking or riding and take proactive measures to keep safe.